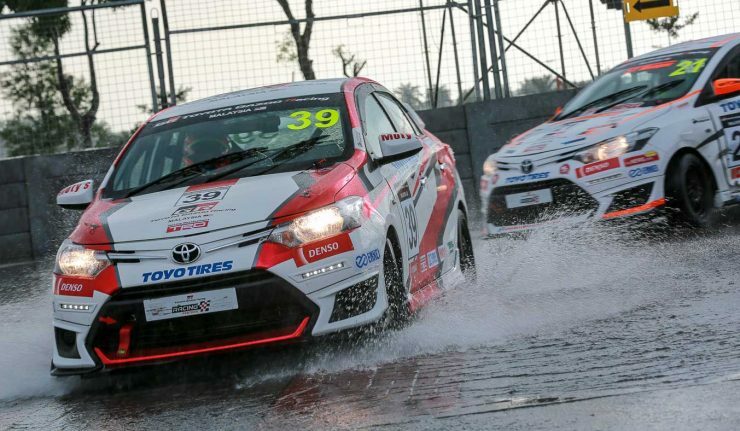 Toyota GAZOO Racing (TGR) Racing Festival went South for the Vios Challenge Round Three and as promised, it was all thrills with plenty of actions in all three classes of the challenge. Kick starting its maiden race in Batu Kawan, Penang followed by MAEPS, Serdang, the third instalment of the Vios Challenge took place in Medini City, Johor. Like the rest of the race series, the Johor track is a 1.9 km street circuit consisting of seven turns. The anti-clockwise track features width of up to three lanes in many sections which allows significantly more room for drivers to build speed and overtake as compared to the previous two tracks. On the opening race of the day, we witness a massive pile up on Turn One of the first lap. Patrick Tham (#13) from Team Nano made a great start and charged from the inside line of Turn one but Patrick went too deep under hard braking and tapped pole position Brenden Anthony (#22) of Dream Chaser Team. Dato Ken Foo (#10) who came in on the blind side couldn’t outmanoeuvre in time and sent Patrick into the wall. A red flag was called. The race restarted without Patrick and Clement Yeo (#8) from Team Distinctive Model whose car suffered damage from the pile up. Lap 5 saw the safety car came onto the circuit after Goh Eng Peng (#99) crashed into the wall of Turn One. After three laps, the safety car retired, and the pack battled out for podium. Brandon regained his composure and began to chase down Kenneth Koh (#28) from Paglima City Racing Team, by lap 13, the young driver is already on Kenneth’s tail. 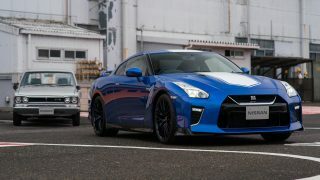 The two managed to catch up the lead driver Wong Chin Eeg (#5) from Hiewa Racing Team and the trio battled out for glory. The race ended with Wong emerged at the top with a total time of 25:17.374. The Service Manager also set the fastest lap of 1:19.646 for Sporting Class. Followed closely behind is Brenden with a total time of 25:17.978 and Kenneth in P3 (25:19.076). The celebrities took centre stage after the Sporting Class ended theirs. Rain started to pour in certain sections of the track which made corners unpredictable and tricky. Danny Koo (#23) went after Diana Danielle (#15) in a hairpin turn but unfortunately made with Diana, causing her to spin out. The damage was enough to make her retire from the race and Danny was slapped with a drive-through penalty which he was not aware of and missed the window to pull in for the penalty, causing him to be excluded from the race results. Janna Nick (#18) was in great form and managed to pass Fattah Amin (#9) for a podium finish but as the weather conditions deteriorate, Janna made a mistake two laps from the finish which caused a slow puncture in her tyre. Shawn Lee (#6) and Shukri Yahaya (#24) emerged on top while Fattah took P3 on the podium. Shawn recorded a fastest lap time of 1:20.871. The Super Sporting Class lived up to is explosive hype with pinball crash and torrential downpour. Flag down and the whole pack made it through Turn One safety but come fast Turn Two, Kenny Lee (#38) and Tengku Djan (#12) from Team Nano were caught in a tangle. Djan’s car #12 spun uncontrollably and collided into Akina Teo’s (#88) which sent his Mudah Racing car into the air, blocking off the circuit. Mark Darwin (#25) of Dream Chaser was also caught in the crossfire. The safety car was deployed and lead the pack for a good part of 11 laps no thanks to the pouring rain which flooded the track. The race director finally deemed the conditions safe for racing on lap 12 but the drivers took a defensive position to minimise their risk amidst bad weather. Race 1 concluded with William Ho (#39) taking top position followed by Wong Yew Choong (#21) of ST Wangan Racing Team and Syafiq bin Ali (#7) from M7 Racing Team. The Mercedes-AMG CLS 53 4MATIC+ is a hybrid AMG with 435 hp & 520 Nm!